Muffins are a great way to start your day. Homemade muffins are better than store bought for several reasons. They cost less and you know exactly what you are in them. 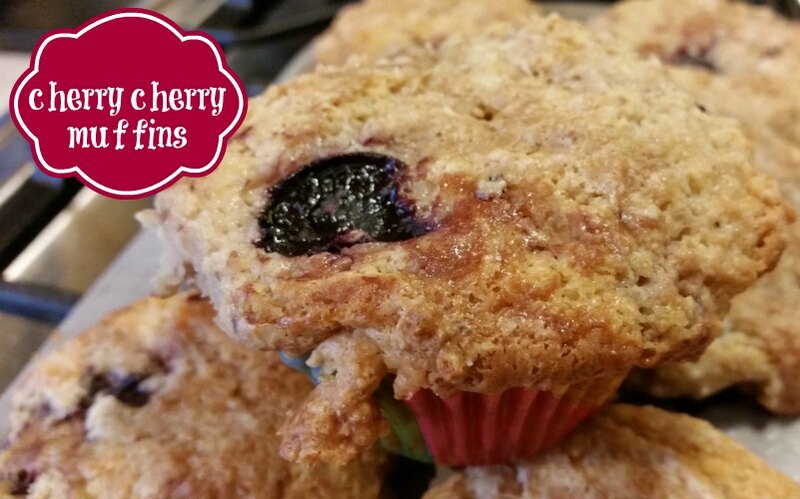 Cherry muffins are even better. You get to have some fruit with your muffin. When making your own muffins, it allows you to adjust the sugars to you taste. Living in Michigan allows us to use fresh Michigan cherries in our recipes. We pick our cherries, pit them and flash freeze them to use all year long. 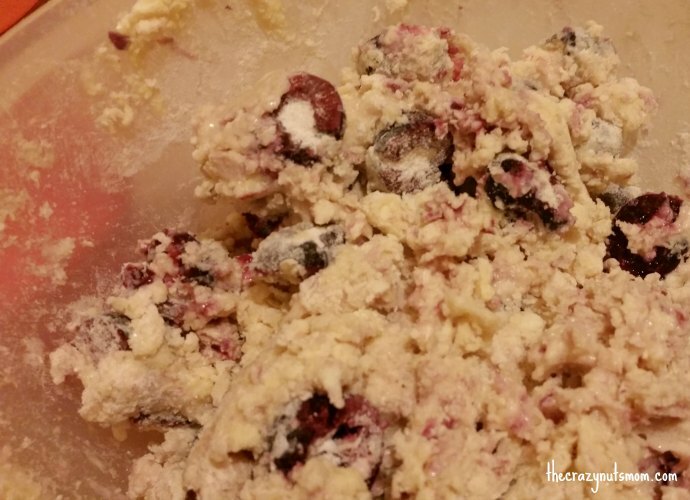 So fresh muffins with cherries whenever we want. What is your favorite flavor of muffins to make? Spray the muffin tin or use cupcake papers (much easier clean up to use cupcake papers). 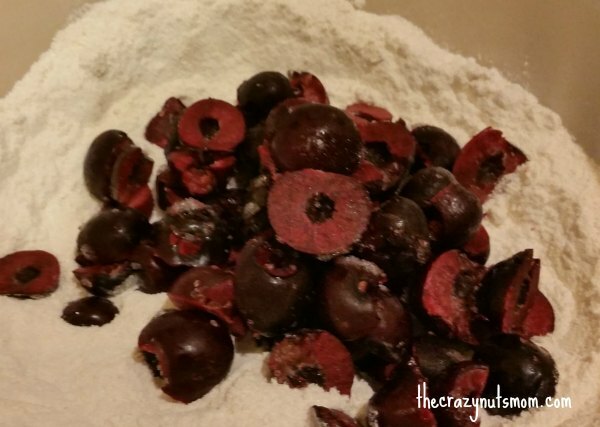 In a small bowl, add the flour, baking powder and cherries and mix and set aside. In a large bowl, add the egg and whisk until the egg yolks turn a lighter yellow. Add the sugar into the egg and mix. Add the butter and mix into the egg and sugar. Add 1/2 the sour cream and mix and then add the remainder, the milk and mix. Pour the dry ingredients into the wet gradually and stir until incorporated. Fill the muffin tins to the top of the liners or top of the muffin tin. Bake for 30 minutes or until golden brown and the toothpick comes out clean. Let Cool eat and enjoy! Hi Regina, this cupcakes looks so delicious. I also prefer baking my own with exactly the same reasons you mentioned. I know what I put in them! Baking definitely lets you know whata in it and allows you to adjust to your taste. Thanks for visiting. I’ve had bariatric surgery, so I’m going too with rice flour and coconut flour, add some protein powder, sugar to applesauce and honey and fat free sour cream. Sounds perfect Rebecca. You might need to tweak the amount of honey you use for your taste.